Australia’s philanthropic sector is “decidedly disjointed” and lags behind the world’s leaders on cross-border giving, according to a landmark report. 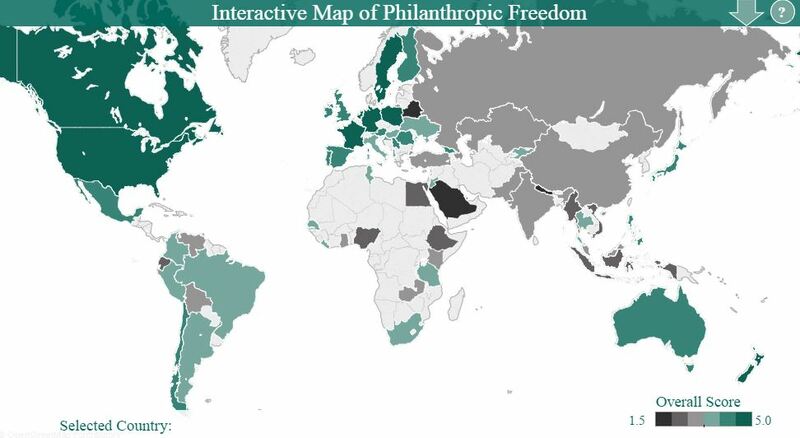 The Index of Philanthropic Freedom 2015 by the Centre for Global Prosperity at the Hudson Institute ranked Australia behind New Zealand, the USA, Canada, Japan and Spain in terms of barriers and incentives for individuals and organisations to donate money and time to social causes. 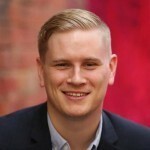 Authored by Carol Adelman, Jesse Barnett and Kimberley Russell from the Centre for Global Prosperity out of Washington in the US, the report found that Australian philanthropists were facing a gauntlet of red tape. Australia was ranked 13th overall for philanthropic freedom out of 64 countries, with the Netherlands, the USA and Germany taking out the top three places. New Zealand was ranked eighth while the United Kingdom was one place behind Australia at 14. “Australia’s philanthropic environment is decidedly disjointed. On the one hand, Australia maintains the region’s most favorable environment for the operation and registration of CSOs (Civil Society Organisations),” the report said. Professor Myles McGregor-Lowndes from the Queensland University of Technology contributed to the report, providing an insight into the Australian philanthropic sector. McGregor-Lowndes gave a poor review of how the regulatory environment restricts cross-border donations. “While there are few restrictions on cross-border philanthropic flows – apart from being unable to claim income tax exemption or donation deductibility status – traditionally Australian Nonprofit organisations cannot be income tax exempt unless they are operated principally in Australia, are prescribed as exempt in the Income Tax Assessment Regulation 1997 or are Deductible Gift Recipients (DGRs),” McGregor-Lowndes said. McGregor-Lowndes said the process of becoming an overseas aid fund through AusAid was lengthy and some lawyers were advising their clients not to pursue endorsement under this category. “This is appears to be reflected in the numbers. As of 31 October 2012, there were 218 overseas aid funds, representing just 0.75 per cent of all active DGRs,” he said. The report said philanthropists faced “onerous” reporting requirements. “Although its reporting requirements for foreign currency transfers are not out of line with other developed countries, its requirement that tax-exempt nonprofits must keep their operations principally in Australia is a barrier to philanthropic activities,” it said. In June Philanthropy Australia released its submission to the Government’s Tax Discussion Paper as part of the Tax White Paper Process, in which it called for the introduction of “an enhanced and simplified taxation and regulatory framework for international philanthropy”. New Zealand’s philanthropic environment on the other hand was given a glowing review by the report. “While its philanthropic groups may lack the size of others in the region, New Zealand’s philanthropic groups are just as active,” the report said. “Other than nominal filing fees, CSOs in New Zealand can register without cost and are not subject to minimum capital requirements. Similarly, the country’s reporting requirements, while comprehensive, are nonetheless flexible and can be scaled according to the size of the organization. “This same accommodating treatment of CSOs can also be found in New Zealand’s tax regime. So long as a donation is made to a recipient with donee status and is used domestically, both individual and corporate donors can claim a deduction on up to 33 per cent of it. The report found that the Netherlands was the best country to operate in if you wanted to give your money away. “[The] Netherlands benefits from an exemplary registration system for CSOs and one of the freest environments for cross-border giving,” the report said. “The Netherlands stands out for the liberties extended by the government to CSOs: They are free from minimum capital requirements, can register in a single day, allow foreigners or minors to serve as founders, and are generally free from reporting requirements except when they provide public services paid for by the state. Saudi Arabia, Qatar and Nepal were ranked as the three worst countries for philanthropic freedom. And to add to the challenge DFAT has now removed from its website the list of approved overseas aid gift deduction scheme funds. So, now there is no source for which organisations and programs are eligible for a tax-deductible donation towards an overseas project or cause.